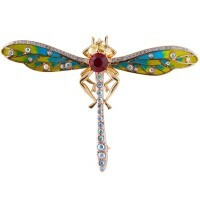 Designed and made in Britain, our products at Ari D. Norman are hand finished to achieve premium results. 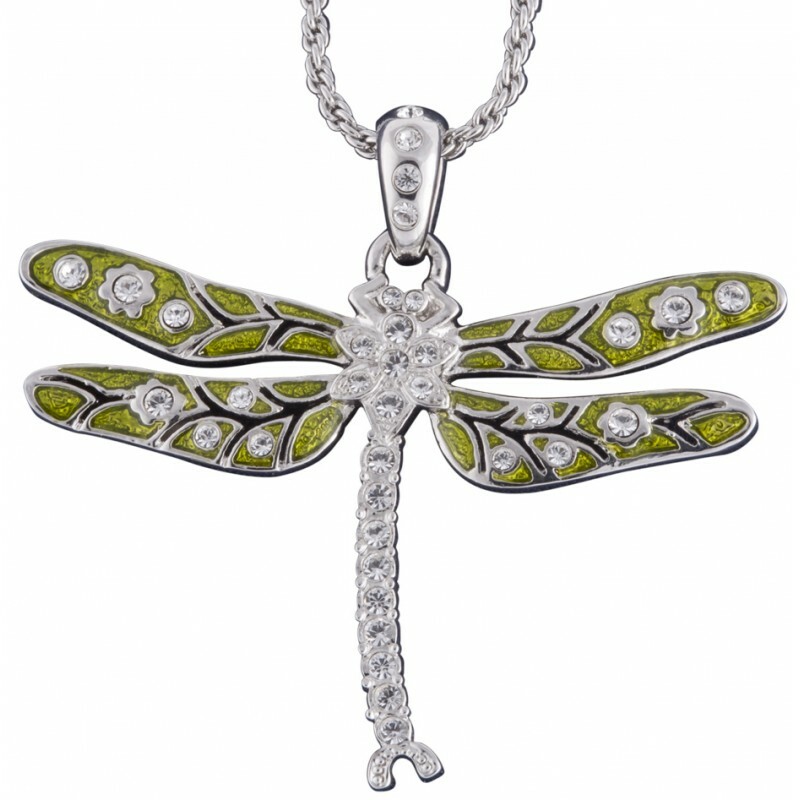 This rhodium plated metal alloy dragonfly pendant is set with clear Austrian crystals and gorgeous green enamel, and comes complete with a rhodium plated chain. It would make a perfect and much loved gift for a special lady in your life.